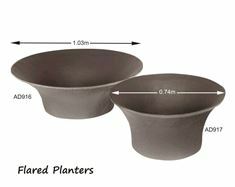 Attractive planters add interest to your garden or patio setting with a choice of different sizes and combinations of dishes and pedestals. 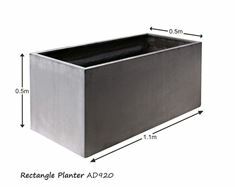 Planters of different shapes and sizes are available to enhance areas around your garden or home. 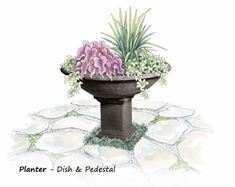 All look spectacular with decorative plants to suit your surroundings. 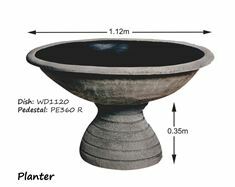 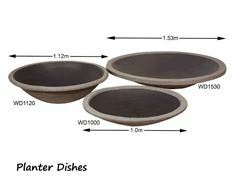 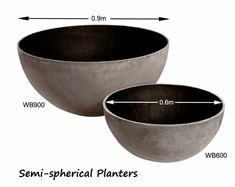 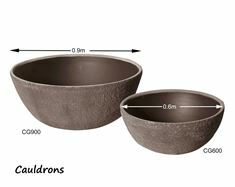 Planters are available in the BASALT or SANDSTONE colour.